In a period when, on average, over 350 million photos are uploaded daily to Facebook, what is a photograph? When everyone is a photographer and everything’s been pictured, why more pictures? Is their allure a revelation or repetition? Much of what we understand about our lives, from the most intimate to the most public, is the subject of photography and as such, photography informs, shapes, and dictates how we make our lives, really, our very identity. It is never neutral as perception itself is not a passive act, rather a learned, enculturated interaction. The world of the still life speaks to the objects with which we make our world on a global as well as a local, even deeply personal level. Pictures, web sites, television and film, describe, and inform us about this not-innate and intimate sphere. Participants will engage, as Norman Bryson writes in Looking at the Overlooked, “the “conditions of creaturality, of eating and drinking and domestic life, with which still life is concerned” through discussion and making photographs that address the still life. Exploring the personal through photography will facilitate our consideration of who we are, how images affect our notions of self, and how images provide both expression of and limitation to communication. as well as strategies for questions and contestation. Workshop participants should be able to show a good level of photographic aptitude and a desire to learn. Participants should prepare their portfolio presentations and artistic discourse ahead of the workshop. Participants will have to their own reading prior to workshop commencement. Known for her exquisitely composed still life photography, Laura Letinsky has always been driven by her interest in “control, accidents, contrivance”. Letinsky shifted from her photography of people in the intimacy of their own homes, creating sensual visual narratives about romantic relationships to her evocative with ambiguity still life. 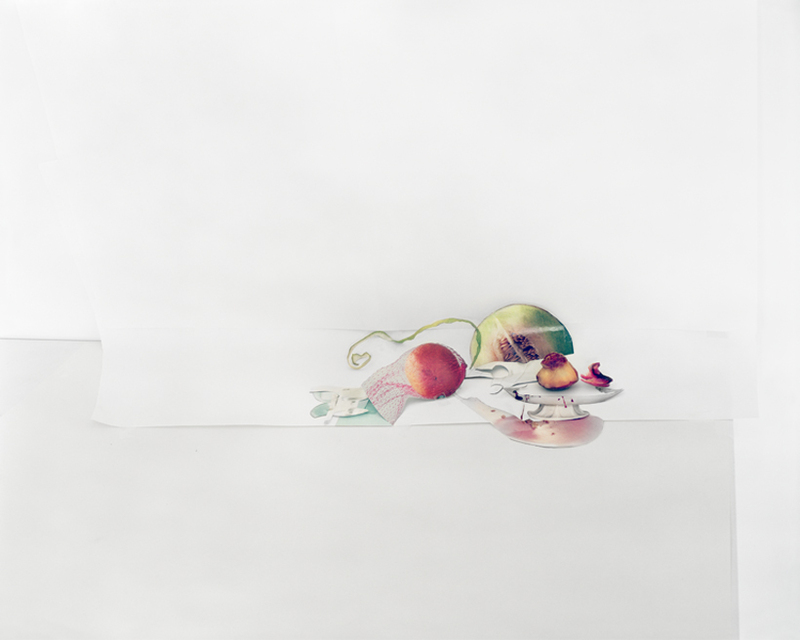 Letinsky replaced people with objects such as fruits and kitchen utensils but still hinting the human presence in her images.